Woopra helps teams make data-driven decisions by uniting every customer touchpoint within a single, unified platform. Fueling customer insights while boosting efficiency and growth. Combine your SendGrid email marketing data with product, website, mobile app, sales, support data and more. Build Customer Journeys in Woopra to understand how each campaign impacts growth, conversions, churn or other essential success metrics. Know exactly which campaigns are driving long-term results for your business. Drill down to the exact individuals opening your different campaigns to see what steps they took before and after. Map the unique journeys users take through your website, mobile app, product and more! 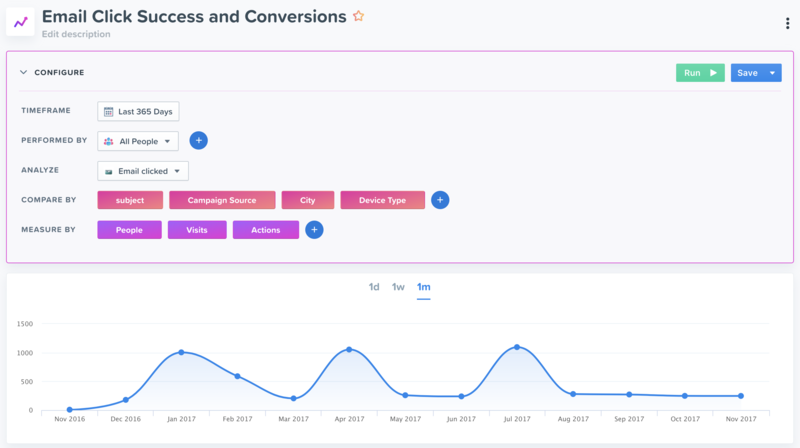 Trends Reports to analyze the engagement of any SendGrid action over the course of time, by dozens of comparison metrics. Dozens of pre-built Triggers to take real-time action on your data. Leverage the SendGrid and Woopra integration to analyze, optimize and engage throughout the total customer journey and fuel company-wide growth.